A transformational, five-day creative immersion in Portland, Oregon. I BELIEVE YOU CAN PAINT. 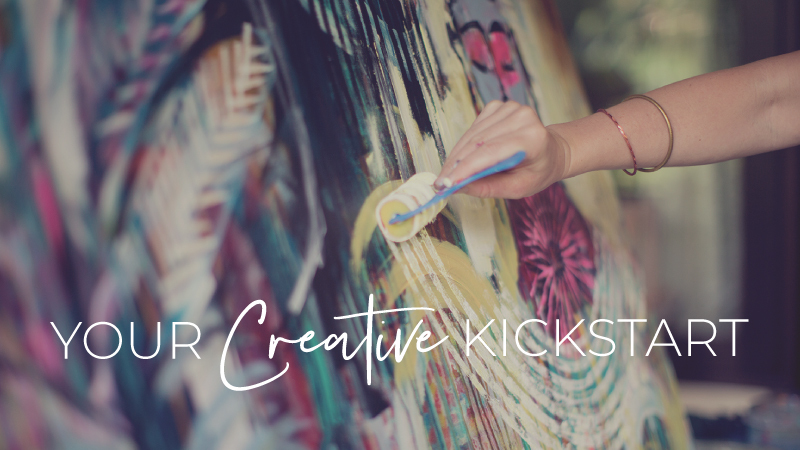 My Bloom True Retreat offers a deeply nourishing, soulful jump-start to any creative habit by inviting a whole new way of painting (and being) from a space of freedom, non-judgment, and experimentation. In a gorgeous, inspiring and lovingly catered environment, our luxurious days of painting are infused with music, poetry, ceremony, movement, nourishing food and deep soul connections with kindred creatives from around the world. I am currently offering several workshops a year in my beautiful backyard Portland, Oregon, studio. 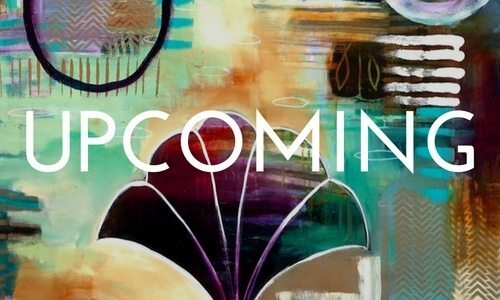 New retreats are announced on this page and through my New Art Love Newsletter 3-4 months in advance. To be the first to hear about new retreats, please sign-up here. Retreats tend to sell out within 24-hours, so if you would like to join me, please do not hesitate to register. I look forward to painting with you in Portland… and beyond! The Bloom True Retreat is a nurturing, liberating experience perfect for all levels. Catering to first-time painters looking for an empowering jump start on their creative path, professional painters seeking a new perspective, and all levels in-between, this heart-centered and educational retreat offers a vast toolbox of new techniques, along with a fresh creative perspective guaranteed to energize your life on and off the canvas. Throughout the retreat, I demonstrate many of my personal painting techniques, while creating a large original painting from start to finish. 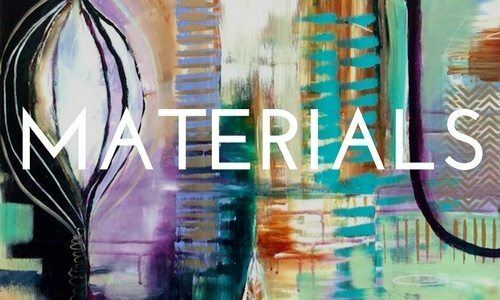 The process is broken down into easy, bite-sized lessons that explore color theory, translucent layering, value contrast, expressive mark-making, dripping, etching, stamping, and drawing. I also offer invaluable prompts and exercises to support letting go, connecting to intuition, taming your “inner critic,” becoming unstuck, and discovering your own authentic style. 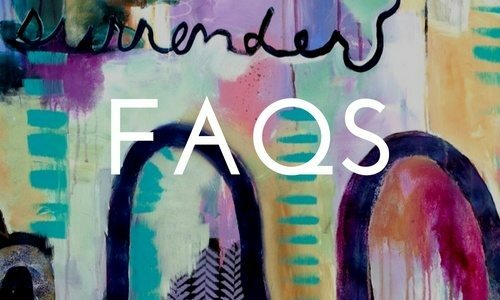 In addition to fresh creative exercises, in-depth Q&A, a variety of painting demos and “heart circles,” students will receive valuable, art-related business support, marketing tips and connections to a web of creative entrepreneurs. Bloom True Retreats take place at Flora Bowley’s backyard Portland, Oregon, studio. The studio is located in beautiful Northeast Portland. Detailed directions to the studio will be emailed upon registration. Wednesday: 6:30 p.m. – 9 p.m.
Thursday – Saturday: 10 a.m. – 5:30 p.m.
Sunday: 10 a.m. – 3 p.m. Optional Open Studio Time will be available in the mornings and evenings, before and after class. Participants are responsible for bringing their own paint. All other materials will be provided. More details will be emailed upon registration. We will provide an abundance of delicious, local, organic catered food throughout the workshop, including dinner on Wednesday, lunch on Thursday, a pizza party and campfire on Saturday night, and a farewell lunch on Sunday. Beautiful gourmet, seasonal platters, handcrafted tea, and fair trade coffee will be available throughout the weekend. All other meals will be on your own. There is a natural grocery store three blocks away, as well as many neighborhood restaurants. You are also welcome to bring your own lunch and relax in the studio over the break. Each Bloom True Retreat will be limited to 15 students to ensure lots of personal attention, one-on-one support, and plenty of space to explore and create. Each participant will be invited to a private Facebook group to foster connections among the group. There is a unique boutique hotel directly across the street from the studio, as well as many Airbnb options within walking distance. Links will be sent upon registration. Room and ride sharing will be facilitated through the private Facebook group. No experience is required to attend this retreat. There are no refunds for this retreat unless we are able to fill your spot. A $100 cancellation fee will apply if we are able to fill your spot. Once you are enrolled in the retreat, you will receive several emails with details regarding the schedule, supplies, accommodations, and activities. Please feel free to email any questions to teamlove@florabowley.com. We are here to help! If you’d like to be added to the waitlist for any of our upcoming retreats, please email teamlove@florabowley.com and let us know! Retreats are offered several times a year, and tend to fill up quickly. I always announce retreats as soon as they are open on my email list News Art Love. If you’d like to be the first to know about upcoming workshops, please join below! Do I need any painting experience to participate in a retreat? All experience levels are welcome to participate in Bloom True Retreats. In fact, first-time painters often have the advantage of having less “knowledge” to get in the way of simply exploring and enjoying the process. 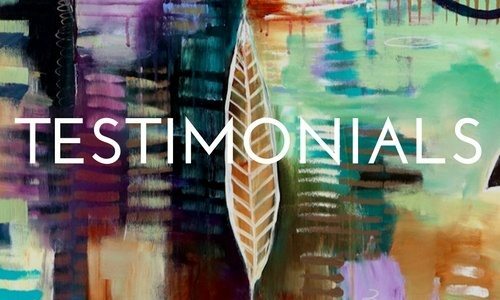 Students quickly find that my process is very “user-friendly” in terms of experience, meaning that it works well for both first-time painters and experienced painters alike. I share my easy-to-apply methods for understanding color, making marks, and incorporating translucent layers, value, and imagery. However, the focus of the retreat explores letting go, listening to intuition, trusting and having fun. Do I need to bring my own supplies? What if I'm flying? How do I get my canvases home? We provide each student with two, 36″ x 36″ canvases, an assortment of brushes, spray bottles, palettes, rags, water jars and a painting station. Students are responsible for bringing their own paint and any special mark-making tools they wish to use. We have a small, but well stocked assortment of our favorite paints and tools available to purchase in the studio, so you are welcome to stock up on all your supplies when you arrive. Prices are comparable to to Blick Art Supply store. There is also a Blick store ten minutes from the studio. If you are flying with paint, we suggest taping all your paint shut, sealing it in two plastic bags and putting it in your checked baggage (you will not be able to carry it on a plane). We also sell paint in the studio if you would like to purchase your paint upon arrival. If you are flying home, we will pack and ship your paintings via UPS. We send an invoice to each student once the paintings have been shipped. The cost of shipping ranges between $50 – $100, depending on your location. You also are welcome to take the paintings off their stretcher bars, roll them up and carry them on the plane. Do I need to be present for the entire retreat? Yes. It’s important that all students are present for all five days of the retreat. The process builds on itself each day in a cumulative fashion. The retreat ends at 3 p.m. on Sunday to ensure an easy travel day home. How does the waitlist work? If anyone drops out a retreat (it does happen), we will notify everyone on the wait list. The open spot will go to the first person who responds to the notification email and confirms registration! When and where are new retreats announced? Can I sign up with a friend? New retreats are announced about three times a year on my newsletter. Please keep an eye out for new retreats and sign up right away if you are interested. Retreats tend to sell out within 24 hours. Due to the high demand of interest in the retreats, we are unable to “save spots” for friends. Where should I stay for the retreat? Do I need my own transportation? The unique Kennedy School Hotel is located across the street from the studio. There are also many airbnbs within walking distance. Links will be sent upon registration. Transportation to and from the studio will be on your own. However, carpooling and uber-sharing coordination will be available in the Facebook group. What's the food like? What if I have a specific diet? We are food people and believe in the power of fresh healthy food to fuel the creative spirit! Therefore, we provide healthy and delicious gourmet nourishment throughout the weekend. Our abundant platters are practically meals in themselves. A typical platter might include in-season, fresh fruits and veggies, gourmet spreads, nuts, cheeses, crackers, olives, organic meats and fish and chocolate. The Welcome Lunch on Thursday and the Farewell Lunch on Sunday will include vegetarian, vegan and gluten-free options. The Saturday night Party will have vegetarian and gluten-free options. Organic fair trade coffee, hand-crafted tea and filtered water are always available. There is also a natural foods store three blocks away from the studio. What's the yoga like? Do I need experience? What if I'm injured? The optional Friday-morning yoga class is perfect for all levels. The class will weave visual art concepts with gentle breath and body awareness to provide a beautiful foundation for the day. The instructor will check in with each student about injuries and experience levels, and teach the class according to your needs. The class will provide a wonderful introduction for first-time students and a lovely, gentle practice for seasoned yogis. You are welcome to join in any capacity, even if that means sitting in a chair and meditating or taking a long resting pose. What is the cancellation policy if I need to back out? There are no refunds for this event. When will I hear about the schedule and all the details? You will receive a confirmation email after you register for a workshop. This email will include all the information you will need to plan your trip and prepare for the workshop. The Bloom True Team is happy to help make your trip to Portland easy from start to finish. Why yes, we do! We offer an Affiliate Program for our Bloom True E-Course. You can find out all about it over on the Affiliate Program Page. We would love to have you join us in spreading the good word about the Bloom True E-Course. There is no Affiliate Program for in-person workshops. Please click the activation link we just emailed you to register for classes. Join my News Art Love mailing list? Just fill in your email below to reset it.